Greetings from Wauwatosa, Wisconsin. Nan and Scout and I are on a road trip back home for a week or so. We left Grand Junction on Friday afternoon and spent the night with Nan's sister Sue and brother-in-law Jack in Boulder. 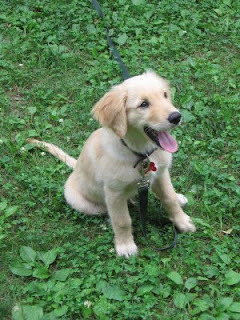 Scout got to meet his "cousin" Buddy, Sue and Jack's one-year-old golden retriever. They spent most of the time play-fighting and chasing each other in the backyard. After getting the car serviced in Denver the next morning, we drove all day on Interstate 80 to reach Grand Island, Nebraska, the halfway point of the trip. We stayed at an old Howard Johnson's because they allowed dogs and then hit the road bright and early the next day. I spent the first nine years of my life in Iowa City, Iowa and hadn't been back there in almost twenty years, so we pulled off I-80 to do a quick driving tour before continuing on. As we exited the interstate and drove down 1st Avenue, we could see that the damage from the recent flooding of the Iowa River had been severe. Many of the stores and restaurants along the river were badly damaged and closed for business. Our first stop was City Park, a big fixture in my childhood. My siblings and I learned to swim at the pool there during summer vacations. 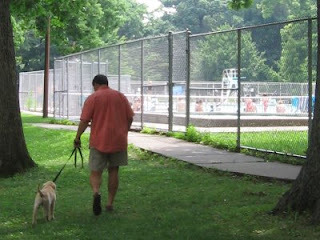 The first photo shows Scout in the grass near the pool and the second shows the two of us walking next to it. The high-dive you can see is the first one I ever went off, at age five with my "Guppies" swimming classmates. 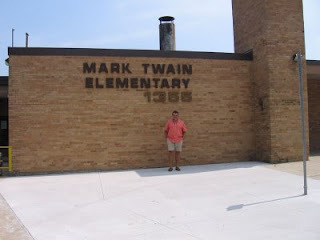 Our next stop was my first school, Mark Twain Elementary. Like everything from childhood, it looked much smaller than I remembered. I peered into the windows of my kindergarten classroom and was surprised at how little it had changed from my days there forty-five years ago. 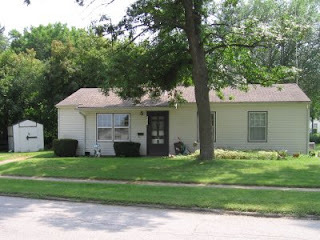 Our final stop was the home we lived in before moving to Wisconsin back in 1967. The single-story house at 2103 Hollywood Blvd. looked tiny, especially compared to the large trees in the front yard. When we lived there, the trees were about as thick as my wrist and provided little shade. Now the entire neighborhood is filled with mature shade trees, creating a completely different atmosphere from the sun-baked one of my memories. The exchange I had with Ted Johnson a few weeks ago ("Sharing the Dream") has gotten me thinking about circumnavigation routes. Like many active and armchair sailors, I have a well-thumbed copy of Jimmy Cornell's World Cruising Routes. If you're not familiar with it, this 600-plus page book contains detailed information about 1000 different sailing routes: concise but complete descriptions; the best times of the year to sail; in which months to expect tropical storms; what charts, pilot guides and cruising guides are necessary; and the critical navigation waypoints. The book starts off in the first chapter with route planning, which stresses the importance of using all the information available--weather, navigation and official travel requirements--to assure a safe, comfortable passage. The second chapter outlines what Cornell considers to be the six principal circumnavigation routes, five westabout and one eastabout, taking from two to three years to complete. Each route sticks mainly to the tropical latitudes, with accommodations for clearing the Cape of Good Hope as an option on the westabout routes and clearing Cape Horn on the eastabout route. This makes good sense since most sailors want to experience the soft winds and warm waters of the tropics, especially in the Caribbean and South Seas. The only exception I take to Cornell's routes is that two to three years seems like way too short a time to experience all there would be to see in a trip around the world. Chances are that for most people this would be a one-time deal, with no "Aw, we'll catch that island on the next go-round." So why not take the time to see it all? On our Odyssey trip this past April and May, Nan's and my major complaint was "Too much boat time, not enough land time." We enjoyed our Aegean island-hopping between Athens and Kusadasi much more than the long, uninterrupted passages back the other way. Applying this sentiment to a circumnavigation, we would want to hop from landfall to landfall as much as possible and minimize the long passages. For example, if our voyage should begin in the northeastern United States, we would want to hop down the coast, cross to the Bahamas, and then hop through all the Caribbean islands instead of taking a more direct route through Bermuda to the Virgin Islands and on to South America. The second option could be completed in a month or two, but the first might take a couple of years or more. What makes this type of travel possible is the idea of a discontinuous voyage: leaving the boat for periods of time in order to return home and take care of real-world obligations before returning to the boat and sailing on, as mountaineer Jim Whittaker and his family were doing in their steel-hulled sailboat Impossible Dream when I met him in Aspen back in 2000. Two to three years for a circumnavigation sounds reasonable if you're going to do it non-stop, but as I said to Ted in our exchange, I look at my sailing dream as more of an "until I die" proposition with no time limits, which ties right in with the discontinuous voyage idea. in the turquoise waters off Vava'u, Tonga. 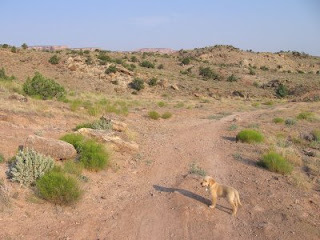 Early this morning, as I was driving to the Tabeguache area for what is becoming a routine weekend hike with Scout, I listened to NPR's Weekend Edition on the radio. Liane Hansen introduced a segment about Captain Fatty Goodlander, one in a series entitled "Captain Fatty's Message in a Bottle." As a recent subscriber to Cruising World magazine, I know Captain Fatty as an editor-at-large and regular columnist for the magazine. So I had one of those "driveway moments" as I sat in the Tabeguache parking lot listening to Captain Fatty for a few minutes while Scout gave me a what-are-we-waiting-for look. Y’know, I’m astonished how often people ask me if we anchor at night while on ocean passages. The answer, of course, is no. The ocean is very deep, in places over thirty thousand feet deep, about the height that a jetliner flies, which is far, far too deep for a recreational sailboat to anchor in. We just keep sailing, all day, all night, occasionally for months in a row without stop. We don’t have to steer. 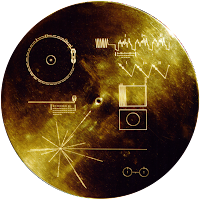 We have a mechanical windvane to do that, and it steers us flawlessly without any external power source. But we do have to keep a watch out for ships. I am on watch while my wife Carolyn sleeps. At regular intervals, I wake her up and she is in complete charge of the vessel while I nap. I don’t find it boring at all to be on passage. Besides sleeping and keeping a lookout, I do navigation, I keep a log, I maintain the vessel. My wife Carolyn cooks. We read a lot, we make love a lot, we argue, we laugh, we get naked, we shout aloud at God, we sing joyously His praises at the top of our lungs, we act like complete and utter fools. In deep ocean, we act like the happy, delirious children that we are. Mother Nature herself entertains us: clouds, birds, waves, stars, planets, meteors, rainbows, moonbows, lightning. We listen to a shortwave radio, mostly the BBC but we listened to NPR as we sailed past the U.S. military base on Diego Garcia in the middle of the Indian Ocean. How strange to hear All Things Considered so far out to sea, like a lost, century-old radio signal emerging from the ether. It is hard for me to get my head around the fact that America goes on and on and on as I sail. I don’t feel like an American anymore. I don’t feel like a Chicagoan or a southsider or someone born though lying in hospital on the lip of Lake Michigan on Ground Hog’s Day, February 2nd, 1952. I feel like a sailor. I feel like a seabird. I feel free—utterly, completely, deliciously free. I live in the last place without fences, without rules, without cops, without social restraints of any kind. I am free, free as any man can be, as free as any man ever was. Almost continuously—sure, I have to occasionally stop, touch land, mingle with dirt dwellers and their slick, glad-handing politicians, and, of course, the related uniform power thugs which anxiously encircle them. Y’know, they don’t talk about extortion these days. Nah, it’s not P.C. They don’t talk about strong-arm tactics or intimidation. Nah, we’re far too civilized for that. Instead we call it taxes and universal health care, and my favorite, paying one’s fair share. Whenever I hear that phrase, I think of it being uttered by Tony Soprano. No, y’know, I’m far happier at sea. The rules are plain. God is strict. You goof up, you die. That’s plain enough, isn’t it? It’s easy for me, a guy like me, to be happy offshore. You soon realize that all the happiness you’ll ever need is already inside you. The happiness isn’t something you’ll ever find; it’s something that you already have plenty of, that there is no path to happiness, that happiness itself is the path. And thus, I sail and sail and sail. 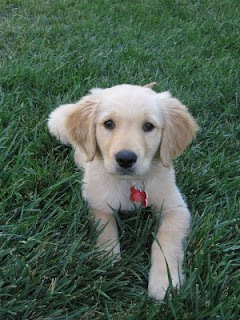 It's no secret that many of the people visiting my blog are just looking at Scout's puppy pictures. Who am I to deny them? Here are four more, two from in front of our house a couple of days ago and two from this morning's Tabeguache hike. Don't forget that you can click the images for full-size views. This one could be Scout's official puppy portrait. He is almost eleven weeks old now and starting to look more like a small dog than a big puppy. He certainly has the personality of a much bigger dog, yapping to order us around and nipping at our heels when he doesn't get his way. He'll eventually figure out that he is low man on the totem pole, as he has when he encounters adult dogs on the trail with his tail tucked between his legs. The king of all he surveys, or at least of our front yard. 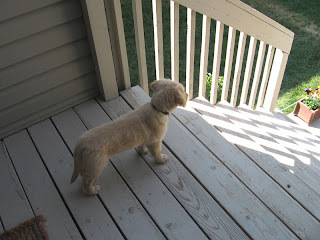 Note the "Scout slot" between the bottom step and window box for easy access to the pooping grounds. 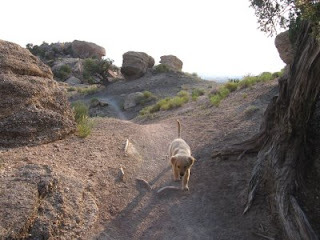 Scout is becoming a good little trail hiker. Here he is on the Lemon Squeezer section of the loop we've been doing. It's about 7:30 in the morning and still fairly cool, with decent shade from trailside juniper trees. Later today it will get close to 100 degrees, too hot for most outdoor activities. The final stretch back to the parking lot. This shot makes it seem like we're in the middle of nowhere, but the Tabeguache area is surrounded on three sides by residential development and on the fourth side by the Colorado National Monument. We appreciate living less than two miles away from this excellent hiking and mountain biking spot. Last night I made the mistake of watching the film "What the Bleep Do We Know?" (2004, Twentieth Century Fox). My sister Susan gave it to me as a gift a few Christmases ago, and I have never been able to watch it all the way through, so with Nan out of town for a few days, I thought I might try again. It turns out I wasn't missing much. The film tries to draw parallels between quantum physics and our perceptions of reality. It argues that since matter exhibits characteristics of both particles and waves, we can never be certain of anything in the material world. Therefore, reality becomes suspect. Is it just matter or is it our perception of it? If it's our perception, then we can control it in the same way we choose, consciously or unconsciously, to filter and process all the input we receive through our senses. Basically, since we each create our own reality, we can tailor it any way we like. If this were true, wouldn't we all be rich and beautiful? Or have only certain people discovered this secret? The "power of positive thinking" has been with us for many years, but has it really improved the lives of anyone besides Norman Vincent Peale and the others who have profited from the many books and programs about it, including the recent bestseller, The Secret? Reality doesn't give a flying how-do-you-do about us; it simply is. With us or without us. We can no more affect reality with our thoughts than we can fly like Superman. That tree falling in the forest out of earshot? It is most definitely making a sound. Get used to it.